Located 194 miles (312 km) from Cambodia’s capital Phnom Penh; the city of Siem Reap is the gateway to the ancient temples of Angkor. The iconic Angkor Wat, the southernmost site of the Angkor Archaeological Park, is situated less than four miles (6 km) from the city center. Due to Angkor’s popularity, the population of this once sleepy provincial capital has swelled to over 900,000 inhabitants. It is a boom town to say the least; construction of new hotels and restaurants appears to be never ending. It’s fair to say that during high season, November through February, the town is overrun with tourists. However, the people of Siem Reap are the friendliest and nicest folks you would ever want to meet; quickly making up for any shortcomings that the dusty little city has. The charming people and laid back pace of Siem Reap has attracted a sizable ex-pat community. With its low cost of living and tropical climate a growing number of westerners are choosing to retire here. The up side of the tourism boom is that there are numerous accommodation options available which range from $5 USD-per-night hostels to five-star resorts. The tourism hub around Pub Street is loaded with restaurants and bars which feature both Asian and Western menus. Similar to accommodation prices, one can eat at 5-star fine dining establishments or slurp up cheap bowls of noodle soup with the locals. 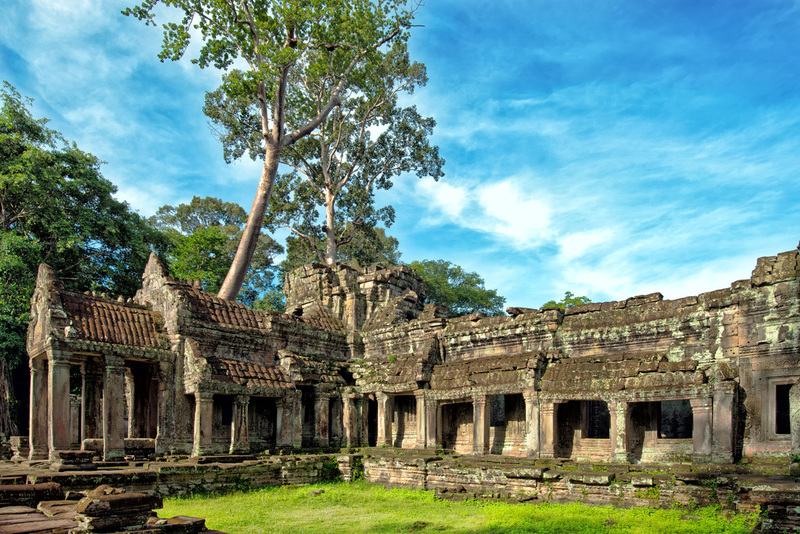 With its international airport, direct flights to Siem Reap are available from various Asian cities such as Bangkok, Singapore, Kuala Lumpur and Hong Kong just to name a few. Direct flights are also available from the Cambodian cities of Phnom Penh and Sihanoukville. Many budget travelers choose to reach Siem Reap by bus from Phnom Penh or internationally from Bangkok or Ho Chi Minh City (with a transfer in Phnom Penh). There are numerous bus companies operating in the country, some of which cater more towards tourists and travel to and from the country’s most popular destinations. Giant Ibis is one of the most highly-regarded bus companies and runs the well-traveled routes between Phnom Penh and Siem Reap, Kampot, Sihanoukville and Ho Chi Minh City, Vietnam. One of the advantages of tourist buses in Southeast Asia is that they usually pick up passengers at their hotels which saves a few dollars on taxi fares. ​Upon arrival in Siem Reap visitors can’t help but notice the many three-wheeled tuk tuks on the city’s roads. As in Phnom Penh and Bangkok, zipping around in a tuk tuk is safe, fun and inexpensive. 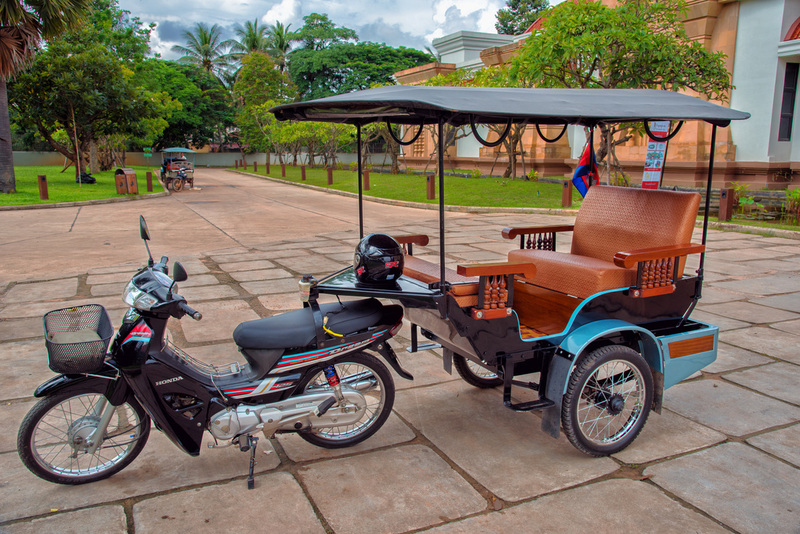 Fares range from $2 USD for a short trip up to $20 USD for a day tour around Angkor. Fares should be agreed upon in advance and are almost always negotiable, so don’t be shy to haggle a bit if the quoted price seems too high. Taxis, motorcycle taxis, hire cars and vans are also available. ​There are dozens of travel agencies located in Siem Reap, particularly around the Pub Street tourist hub. These agencies can arrange bus and plane tickets, tourist visas for other countries and bus tours to temples and attractions away from Siem Reap. We recommend shopping around and visiting several agencies before committing to a particular tour. Likewise, if one agency cannot provide a tour or ticket to a destination, simply move on to the next one. Most hotels, hostels and guest houses are able to provide many of the same services travel agencies offer and are very eager to arrange local transportation to Angkor. Almost every hotel offers local tours to the temples as they have arrangements with particular drivers. 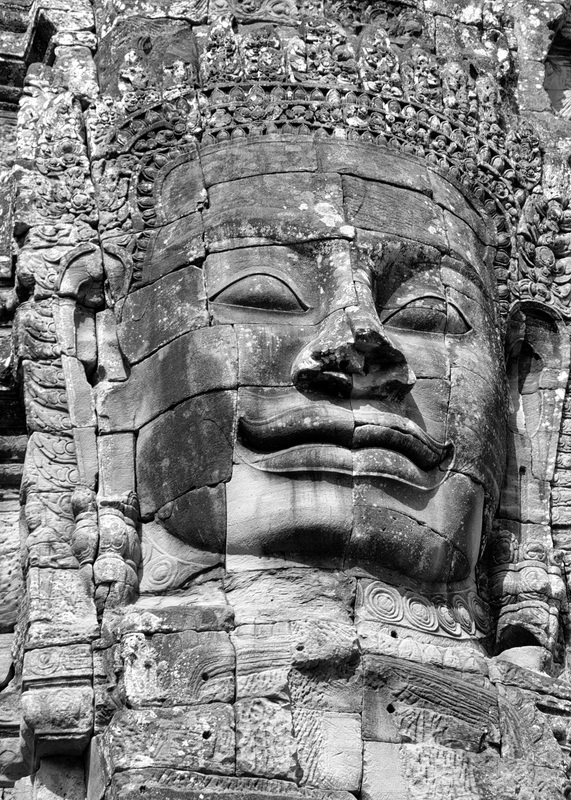 In addition to the temples of Angkor there are several other things to do and see in and around Siem Reap. A partial list includes the Angkor National Museum, The Cambodian Landmine Museum and the Siem Reap War Museum. Some popular day tour attractions in and around Siem Reap are the floating villages on the Tonle Sap Lake, Kulen Mountain and the temple complex Prasat Beng Mealea. ​We strongly suggest a visit to the Angkor National Museum on or within the first two days of arrival. 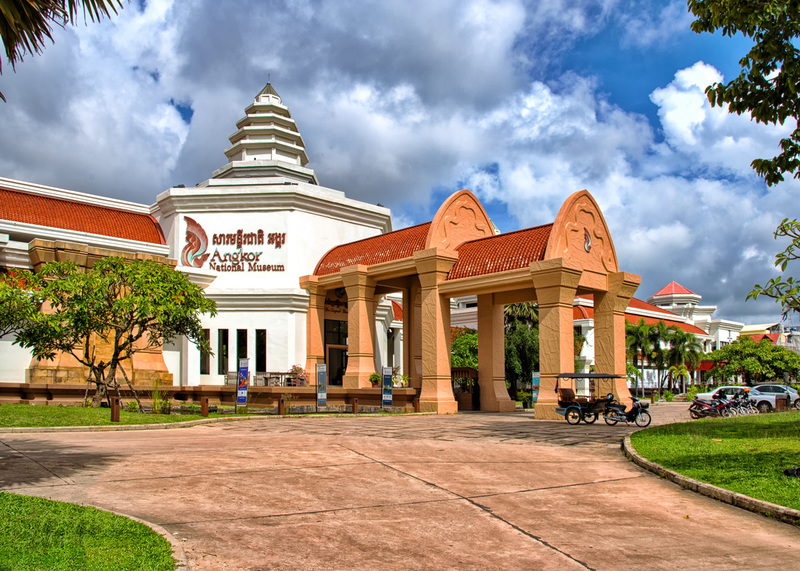 This fantastic museum will give travelers a much deeper insight into the history of the Khmer Empire, its people and the fascinating temple complexes they left us. The museum’s quality exhibits go a long way into explaining the meaning of the temple’s architecture and reoccurring themes displayed in Angkor’s prolific artwork. The air-conditioned museum is also a great place to escape the afternoon heat and recuperate from a long morning of temple exploration.